With regret it has been decided that the Rio 4’s, scheduled for Sunday 26th, is cancelled. Recent rains have brought the water level up, however the clarity is not up to standard, especially when the distances that some anglers travel are considered. Thanks for your support. This entry was posted in Stocks Reservoir Fishing Reports on October 23, 2014 by staff. Stocks: The 2014 Dry Lines & October so far. We are still seeing black buzzers and sedges emerging, which has surprised me because the water level has remained very low. When the wind drops away the trout are rising and picking out the small black flies but are not easy to tempt. There are loads of mountain minnows around the jetty area and around most of the margins, the trout are feeding on them so black and gold lures or minkies are well worth a swim. 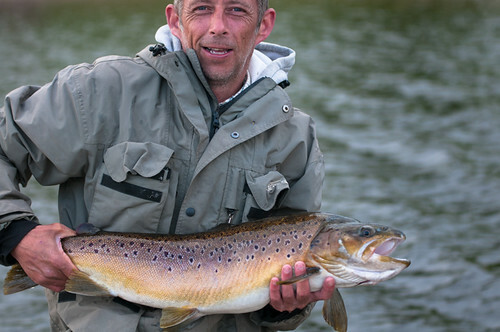 NB*Starting from tomorrow (Sunday October19th) until the end of the season (November Saturday 15th) we will be allowing worm and spin as well as the usual fly fishing. This entry was posted in Bank House Fishing Reports, Stocks Reservoir Fishing Reports on October 18, 2014 by staff.